This material is intended to provide preprints and offprints in electronic form for purposes of private study, scholarship, and research, all in conformity with "fair use" and the established practice of authors' providing single preprints and offprints for noncommercial use. Any other use is unauthorized and may violate copyright. "Chalmers's Meta-Problem", penultimate version, forthcoming in a special issue of Journal of Consciousness Studies, ed. François Kammerer. "There's Nothing about Mary", forthcoming in Classic Arguments: The Knowledge Argument, ed. Sam Coleman, Cambridge: Cambridge University Press. "Qualities and Consciousness", PowerPoint presentation for a Conference in Honor of Margaret Atherton and Robert Schwartz, Milwaukee, April 2019; revised and extended from a presentation to a Symposium on Sensation, Southern Society for Philosophy and Psychology, March 2018. "Fodor's and Representationalism", PowerPoint presentation for a Conference in Honor of Jerry Fodor, Rutgers University, May 2019. "Scientific Revolution and Descartes", lecture to the Columbia College Contemporary Civilization faculty, November 2018. "Content and Inference", very much revised and expanded from a PowerPoint presentation at First CUNY-Milan Interdisciplinary Workshop in Philosophy (on belief), February 2018; abstract. "Consciousness and Metacognition", PowerPoint for Symposium, "Linking Metacognition, Predictive Coding, and Consciousness," Association for the Scientific Study of Consciousness, Buenos Aires, June 2016 (including several slides omitted there because of time). "Sensory Modalities and Quality Spaces", PowerPoint for Universidad Nacional Autónoma de México (UNAM), Mexico City, October 2016, slightly revised for the Rutgers-Barnard-Columbia Mind Workshop, July 2016. Revised version of "A Quality-Space Theory of the Modalities," Berlin School of Mind and Brain, November 2015 (abstract), in turn revised from "Individuating the Modalities," Conference on Olfaction, University of Antwerp Centre for Philosophical Psychology, December 2013. "Consciousness and Functionality", PowerPoint for lecture on the utility if any of mental states' being conscious. "The Consciousness of Mental States", opening lecture in Distinguished Lecture Series, Berlin School of Mind and Brain, October 2015; abstract. "Consciousness Last", PowerPoint for Pacific APA Symposium on Mind and Methodology, San Francisco, March 2016; abstract. Revised version of "The Use and Abuse of Consciousness," Taipei, August 2015. "The Use and Abuse of Consciousness," Conference on Higher-Order Theories and Mental Qualities, Taipei, August 2015; abstract; on YouTube; other talks from that conference. "Thought, Speech, and Consciousness", PowerPoint for presentation at Conference on Sellars in a New Generation, Kent State University, May 2015 (including a few slides skipped on that occasion). My presentation as a slideshow; on YouTube. "Thought, Speech, and the Given", forthcoming. .
"Relocation, Quality Spaces, and Grain", PowerPoint for the Sellars Centenary Conference, Dublin, June 2012; online PowerPoint and taped presentation. Revised written version, "Quality Spaces, Relocation, and Grain," below in published work. "Mental Qualities without Consciousness", PowerPoint for Pacific Division APA Symposium on Mind and Methodology, San Diego, April 2014, with replies to commentators Joseph Levine and John Morrison; abstract; Levine's comments and handout for Morrison's comments. My presentation as a slideshow. Expanded version at the SRI Technology and Consciousness Workshop Series, Arlington, Virginia, Focused Session 1, May 2017. "Conscious Awareness, Higher-Order Theories, and Overflow", PowerPoint for the "HOT or NOT?" plenary session, Toward a Science of Consciousness, Tucson, April 2012, with co-symposiasts Ned Block and Hakwan Lau. Available as an online presentation. "Metacognition and Consciousness", PowerPoint for the All Souls Seminar Series on Meta-cognition, All Souls Oxford, June 2012. "Two Concepts of Mental Quality", PowerPoint, Center for the Explanation of Consciousness, Stanford University, May 2014. Earlier versions for the Jerrold J. Katz Memorial Lecture, CUNY Graduate Center, February 2013; Institute of Philosophy, University of London, June 2012; Southern Society for Philosophy and Psychology, Savannah, March 2012; and the Phenomenal Qualities Project, University of Hertfordshire, September 2011. "Consciousness", to appear in Encyclopedia of Philosophy and the Social Sciences, Thousand Oaks, California: Sage Publications, expected 2012. "Mental Qualities, Valence, and Intuition: Comments on Machery", PowerPoint presentation at the March 2011 workshop of the Metro Experimental Research Group (M.E.R.G.) at NYU. Available as an online presentation. "A Quality-Space Theory of Mental Qualities", PowerPoint presentation at the Association for the Scientific Study of Consciousness (ASSC 14), Toronto, June 2010. "Perceptual Certainty and Higher-Order Awareness", Comments on a presentation by Hakwan Lau at the NYU/CRNS Workshop on Perception, Action, and the Self, October 31, 2009. "Phenomenology, Methodology, and Theory", PowerPoint slides for a conference at the University of Bern on analytic phenomenology and theories of consciousness, May 27, 2009. Available as online presentation. "Consciousness and Mental Qualities", PowerPoint slides presented at the Efron Symposium, with Ned Block, in Philosophy of Mind, Pomona College, February 9, 2009, and "Phenomenal Consciousness and Conscious Access", slides for Efron Symposium, February 10, 2009. "Don't Mind the Gap", PowerPoint slides presented at the CUNY Graduate Center Cognitive Science Symposium, December 12, 2008, and originally in a slightly earlier version at a conference in honor of Fabrizio Mondadori, McGill University, November 7, 2008, under the title "Crossing the Explanatory Gap." "Translation and Understanding", lecture at the Hamilton College Humanities Forum on Translation and Cultural Exchange, October 17, 2011. Available as online presentation. "Why Study the History of Philosophy? ", lecture at the CUNY Graduate Center, May 2010. "A Theory of Qualitative Consciousness", PowerPoint slides presented at the University of Potsdam, June 2009. An earlier version was presented under a different title at the University of Kyoto and Nihon University, Tokyo, May 2008 and in Taiwan at National Chengchi University and at National Chung Cheng University, June 2008. "Why Are Mental States Ever Conscious? ", PowerPoint for Presidential Address, Association for the Scientific Study of Consciousness (ASSC), Taipei, June 19, 2008; abstract. "The Poverty of Consciousness", PowerPoint slides derived from "Consciousness and Its Function", various versions (under various titles) presented at the UQÀM Institut des Sciences Cognitives on the Evolution and Function of Consciousness, July 2012 (Video of that talk and blog discussion; video also on YouTube); the Berlin School of Mind and Brain, June 2009; in Mérida at the Centro Peninsular en Humanidades y Ciencias Sociales, UNAM, March 2009; the University of Michigan Spring Colloquium, March 2009; as the 25th Dean Kolitch Lecture at the CUNY Graduate Center, December 12, 2007; the 11th annual meeting of the Association for the Scientific Study of Consciousness (ASSC), Las Vegas, June 2007; and City University, London, September 2006. "Consciousness and Higher-Order Thought", in Scholarpedia, forthcoming. "Intrinsicalism and Its Discontents", PowerPoint presentation, CUNY Graduate Center Cognitive Science Symposium, November 2007; significantly expanded and somewhat revised from "Consciousness and Intrinsic Higher-Order Content," presented at Tucson VII, below. "Consciousness and Intrinsic Higher-Order Content", PowerPoint presentation at Tucson VII, Toward a Science of Consciousness 2006, session on Self-Representational Approaches to Consciousness. "Replies to Galen Strawson and Ned Block" (not intended for publication), replies to Strawson and Block at CUNY Graduate Center Colloquium, December 2006. Tutorial on Higher-Order Theories of Consciousness, for the 10th (June 2006) annual meeting of the Association for the Scientific Study of Consciousness (ASSC), and a bibliography for that Tutorial. "The Kinds of Consciousness", MS.
"Consciousness and Confidence", Neuropsychologia, in press. "Misrepresentation and Mental Appearance", in a special issue of Trans/Form/Ação, 41, edição especial (2018): 49-74, ed. Alfredo Pereira. "Subjective Inflation: Phenomenology's Get-Rich-Quick Scheme", with J. D. Knotts (lead), Brian Odegaard, and Hakwan Lau, Current Opinion in Psychology, 29 (October 2019): 49-55. "Opportunities and Challenges for a Maturing Science of Consciousness", with Matthias Michel, Hakwan Lau, Stephen M. Fleming, and 54 others, Nature Human Behaviour, 3, 2 (February 2019): 104-107. doi: 10.1038/s41562-019-0531-8; Supplementary Notes. "Seeming to Seem", in The Philosophy of Daniel Dennett, ed. Bryce Huebner, New York: Oxford University Press, 2018, pp. 133-164. "Quality Spaces, Relocation, and Grain", in Sellars and His Legacy, ed. James R. O'Shea, Oxford: Oxford University Press, 2016, pp. 149-185. "Neural Antecedents of Spontaneous Voluntary Movement: A New Perspective", with Aaron Schurger and Myrto Mylopoulos, Trends in Cognitive Sciences, 20, 2 (February 2016): 77-79. "Quality Spaces and Sensory Modalities", in Phenomenal Qualities: Sense, Perception, and Consciousness, ed. Paul Coates and Sam Coleman, Oxford: Oxford University Press, 2015, pp. 33-65. "Measuring away an Attentional Confound", with Jorge Morales, Yasha Mouradi, Claire Sergent, Ned Block, Vincent Taschereau-Dumouchel, Piercesare Grimaldi, and Hakwan Lau, Neuroscience of Consciousness, 3, 1 (August 2, 2017): nix018; pdf. "Quality Space Theory in Olfaction", with Benjamin D. Young and Andreas Keller, in the Olfactory Consciousness across Disciplines Research Topic, ed. Benjamin D. Young and Andreas Keller, Frontiers in Psychology, January 2014. Also in the Frontiers in Psychology e-book, Olfactory Consciousness across Disciplines, ed. Benjamin D. Young and Andreas Keller, Frontiers in Psychology, March 2015, pp. 116-130. "René Descartes's Meditations on First Philosophy", Topoi (Untimely Review series) 15, 2 (October 2015): 541-548. "Higher-Order Awareness, Misrepresentation, and Function", Philosophical Transactions of the Royal Society B: Biological Sciences, theme issue on Metacognition, 367, 1594 (May 19, 2012): 1424-1438. Reprinted in Before Consciousness: In Search of the Fundamentals of Mind, ed. Zdravko Radman, Exeter, UK: Academic Imprint, 2017, pp. 106-141. "Awareness and Identification of Self", Consciousness and the Self: New Essays, ed. JeeLoo Liu and John Perry, Cambridge: Cambridge University Press, 2012, pp. 22-50. Reprinted in Interalia Magazine, issue 18 (November 2015). "Consciousness Science: Real Progress and Lingering Misconceptions", with Ned Block, David Carmel, Stephen M. Fleming, Robert W. Kentridge, Christof Koch, Victor A.F. Lamme, and Hakwan Lau, Trends In Cognitive Sciences, 18, 11 (November 2014): 566-7, in response to Ken A. Paller and Satoru Suzuki, "The Source of Consciousness." "The Higher-Order View Does Not Require Consciously Self-Directed Introspection: Response to Malach", with Hakwan Lau, responding to Rafael Malach's "Conscious Perception and the Frontal Lobes: Comment on Lau and Rosenthal", Trends in Cognitive Sciences, 15, 11 (November 2011), pp. 508-9 and 507. "Empirical Support for Higher-Order Theories of Conscious Awareness", with Hakwan Lau, Trends in Cognitive Sciences, 15, 8 (August 2011): 365-373. "Exaggerated Reports: Reply to Block", Analysis 71, 3 (July 2011): 431-437, responding to Ned Block's "The Higher Order Approach to Consciousness Is Defunct". See also Josh Weisberg's reply to Block, "Abusing the Notion of What-it’s-like-ness: A Response to Block" and Block's "Response to Rosenthal and Weisberg", all in the same issue of Analysis. "How to Think about Mental Qualities", Philosophical Issues: Philosophy of Mind, 20 (October 2010): 368-393. "Consciousness, the Self, and Bodily Location", Analysis, 70, 1 (April 2010): 270-276. "Consciousness", in A Companion to Metaphysics, 2nd edition, ed. Jaegwon Kim, Ernest Sosa, and Gary Rosenkrantz, Malden, Massachusetts: Wiley-Blackwell, 2009, pp. 184-188. "Consciousness and Its Function", Neuropsychologia, 46, 3 (2008): 829-840. "The Mind and Its Expression", in Self, Language, and Thought: Problems from Kant, Sellars, and Rosenberg, a volume in honor of Jay F. Rosenberg, ed. Eric M. Rubenstein and James R. O'Shea, Atascadero, California: Ridgeview Publishing Company, 2010, pp. 107-126. Derived in part from a comment on Dorit Bar-On's Speaking My Mind: Expression and Self-Knowledge, presented at a December 2007 author-meets-critics APA session. "Expressing One's Mind, a revised version of the comments on Bar-On mentioned in the preceding entry, Acta Analytica, 25, 1 (Spring 2010): 21-34, a special issue ed. Matthew Boyle. "Phenomenological Overflow and Cognitive Access", Behavioral and Brain Sciences, 30, 5-6 (December 2007): 522-523. "Higher-Order Theories of Consciousness", in Oxford Handbook in the Philosophy of Mind, ed. Brian McLaughlin and Ansgar Beckermann, Oxford: Clarendon Press, 2009, pp. 239-252. "Philosophy and the Study of Consciousness", in Oxford Companion to Consciousness, ed. Timothy Bayne, Axel Cleeremans, and Patrick Wilken, Oxford: Clarendon Press, 2009, pp. 522-529. "Philosophy and Its Teaching", in A Teacher's Life: Essays for Steven Cahn, ed. Robert Talisse and Maureen Eckert, Lanham, Maryland: Lexington Books, forthcoming 2009, pp. 67-83. "Autobiographical and Disciplinary Relections", in Mind and Consciousness: Five Questions, ed. Patrick Grim, New York and London: Automatic Press, 2009, pp. 153-167. "Concepts and Definitions of Consciousness", in Encyclopedia of Consciousness, ed. William P. Banks, Amsterdam: Elsevier, 2009. In Russian translation by Ksenya Chistopolskaya and David Pereplyotchik, as "Концепции и определения сознания", Methodology and History of Psychology (Методология и история психологии), 4, 43 (2009): 55-75. "Freud and the Unconscious", in The Humanities at Work, ed. Yubraj Aryal, Kathmandu, Nepal: Sunlight Publication, 2008, pp. 221-230. "Higher-Order Theories of Consciousness", with Josh Weisberg, in Scholarpedia, 3(5):4407. "Experience and the Physical", Journal of Consciousness Studies, 13, 10-11 (October-November 2006): 117-128, a discussion of Galen Strawson, "Realistic Monism: Why Physicalism Entails Panpsychism," in that issue; reprinted in Consciousness and its Place in Nature: Why Physicalism Entails Panpsychism, Galen Strawson et alii, ed. Anthony Freeman, Thorverton, UK: Imprint Academic, 2006, pp. 117-128. 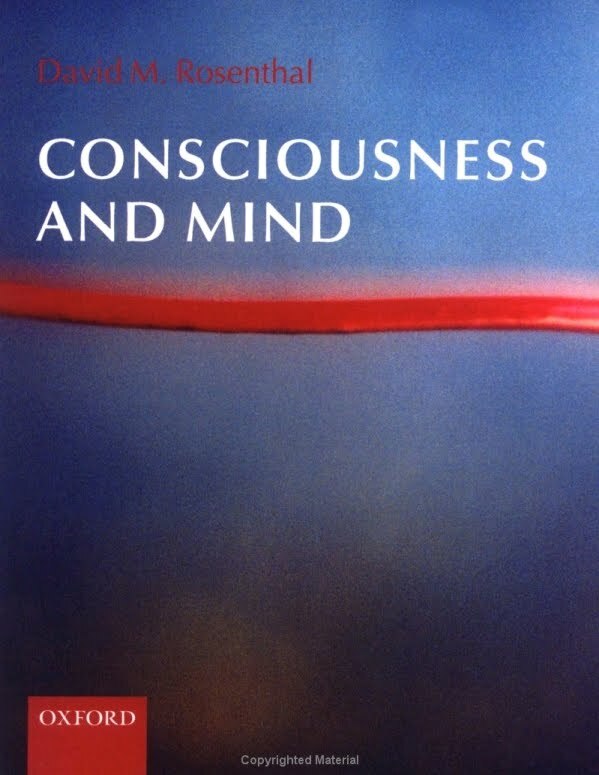 Consciousness and Mind, a collection of my papers on consciousness and mental qualities, two previously unpublished, Oxford: Clarendon Press, 2005. "Unity of Consciousness and the Self", chapter 13 of Consciousness and Mind, Oxford: Clarendon Press, 2005, pp. 339-363. Significantly revised from an earlier version in Proceedings of the Aristotelian Society, 103, 3 (April 2003): 325-352. In Spanish translation by Pedro Stepanenko as "La Unidad de la Conciencia y el Yo", in La Primera Persona y sus Percepciones, ed. Pedro Stepanenko, Mérida: Universidad Nacional Autónoma de México (UNAM/CEPHCIS), 2012, pp. 13-51. "Consciousness", in The Encyclopedia of Philosophy, 2nd edition, Macmillan, 2005, vol. 2, pp. 449-458. "Consciousness", in The Language of Science (ISSN 1971-1352), ed. Giandomenico Sica, Monza: Polimetrica, 2007. "Sensory Qualities, Consciousness, and Perception", in Consciousness and Mind, Oxford: Clarendon Press, 2005, pp. 175-226. Substantially earlier versions were presented at the 4th annual meeting of the Association for the Scientific Study of Consciousness (ASSC), Brussels, the 21st annual meeting of the Cognitive Science Society, Vancouver, Washington University, The Hebrew University in Jerusalem, and the University of Haifa, and as the 20th Dean Kolitch Lecture at the CUNY Graduate Center. "Why Are Verbally Expressed Thoughts Conscious? ", in Consciousness and Mind, Oxford: Clarendon Press, 2005, pp. 282-305. An earlier, significantly shorter version appeared in preprint as Report No. 32/1990, Center for Interdisciplinary Research (ZiF), University of Bielefeld. "Consciousness, Interpretation, and Higher-Order Thought", Psychoanalysis as an Empirical, Interdisciplinary Science: Collected Papers on Contemporary Psychoanalytic Research, Vienna: Verlag der Österreichischen Akademie der Wissenschaften (Austrian Academy of Sciences Press), 2005, pp. 119-142. In German translation by Markus Luef, as "Bewußtsein, Interpretation und Übergeordnete Gedanken". "Varieties of Higher-Order Theory", in Higher-Order Theories of Consciousness, ed. Rocco J. Gennaro, Amsterdam: John Benjamins Publishering Company, 2004, pp. 19-44. "Being Conscious of Ourselves", Monist 87, 2 (April 2004): 161-184, special issue on self-consciousness ed. José Luis Bermúdez. Review of Mark Rowlands, The Nature of Consciousness, Mind, 113, 451 (July 2004): 581-588. "Consciousness and Higher-Order Thought", Macmillan Encyclopedia of Cognitive Science, Macmillan Publishers Ltd, 2002, pp. 717-726. "Subjective Character and Reflexive Consciousness", in a book symposium on John Perry's Knowledge, Possibility, and Consciousness, Philosophy and Phenomenological Research, 68, 1 (January 2004): 191-198. "Moore's Paradox and Crimmins's Case", Analysis, 62, 2 (April 2002): 167-171. "The Timing of Conscious States", Consciousness and Cognition, 11, 2 (June 2002): 215-220. "Explaining Consciousness", in Philosophy of Mind: Classical and Contemporary Readings, ed. David J. Chalmers, New York: Oxford University Press, 2002, pp. 406-421. Reprinted in Revue Roumaine de Philosophie, 46, 1-2 (2002): 109-131. In German translation by Antonia Barke, as "Bewußtsein Erklären", in Grundkurs Philosophie des Geistes. Band I: Phänomenales Bewußtsein, ed. Thomas Metzinger, Paderborn: Mentis, 2006, pp. 383-416. In French translation by Arnaud Dewalque, as "Expliquer la Conscience", in Conscience et représentation: Introduction aux théories représentationnelles de l'esprit, ed. Arnaud Dewalque and Charlotte Gauvry, Paris: J. Vrin, 2016, pp. 137-170. "Consciousness and the Mind", Iyyun, The Jerusalem Philosophical Quarterly 51, 3 (July 2002): 227-251. (special issue ed. Güven Güzeldere and Ron Mangun, stemming from the 5th Annual Meeting of the Association for the Scientific Study of Consciousness [ASSC], at Duke University, May 2001). 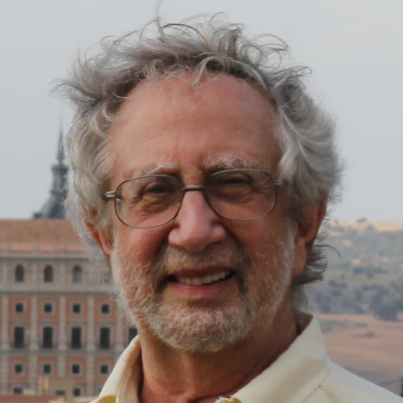 This article is partly a discussion of Ned Block's "Paradox and Cross Purposes in Recent Work on Consciousness", Cognition, 79, 1-2 (April 2001): 197-219. "Persons, Minds, and Consciousness", in The Philosophy of Marjorie Grene, in The Library of Living Philosophers, ed. Randall E. Auxier and Lewis E. Hahn, Chicago and LaSalle, Illinois: Open Court, 2002, pp. 199-220. "The Higher-Order Model of Consciousness", in Consciousness, by Rita Carter, London: Weidenfeld & Nicolson, 2002, pp. 45-47; also available as Exploring Consciousness, Berkeley and Los Angeles: University of California Press, 2002. "Introspection and Self-Interpretation", Philosophical Topics, special issue on introspection, 28, 2 (Fall 2000): 201-233. Reprinted in Consciousness and Mind, Oxford: Clarendon Press, 2005, pp. 103-131. "Content, Interpretation, and Consciousness", in Dennett's Philosophy: A Comprehensive Assessment (Proceedings of a Conference on Daniel Dennett, Memorial University of Newfoundland, St. John's), ed. Don Ross, Andrew Brook, and David L. Thompson, Cambridge, Massachusetts: MIT Press, 2000, 287-308. Reprinted in Consciousness and Mind, Oxford: Clarendon Press, 2005, pp. 321-335. Also reprinted in Protosociology: An International Journal of Interdisciplinary Research, Folk Psychology, Mental Concepts and the Ascription of Attitudes On Contemporary Philosophy of Mind and Radical Interpretation, 14 (2000): 67-84. "Consciousness and Sensation: Philosophical Aspects", International Encyclopedia of the Social and Behavioral Sciences, ed. Neil J. Smelser and Paul B. Baltes, 26 vols, Oxford: Pergamon/Elsevier, 2001, pp. 2589-2596. "Color, Mental Location, and the Visual Field", Consciousness and Cognition, 9, 4 (April 2001): 85-93. "Sensory Quality and the Relocation Story", Philosophical Topics 26, 1/2 (special issue in honor of Sydney Shoemaker) (Spring and Fall 1999): 321-350. Reprinted in Consciousness and Mind, Oxford: Clarendon Press, 2005, pp. 149-174. "Consciousness, Content, and Metacognitive Judgments", Consciousness and Cognition, IX, 2, Part 1 (June 2000): 203-214. This paper had been presented at the 3rd Annual Conference of the Association for the Scientific Study of Consciousness (ASSC), June 1999. "Metacognition and Higher-Order Thoughts" (extended response to commentaries), Consciousness and Cognition, IX, 2, Part 1 (June 2000): 231-242. "Consciousness and Metacognition", in Metarepresentation: Proceedings of the Tenth Vancouver Cognitive Science Conference, ed. Daniel Sperber, New York: Oxford University Press, 2000, pp. 265-295. "The Colors and Shapes of Visual Experiences", in Consciousness and Intentionality: Models and Modalities of Attribution, ed. Denis Fisette, Dordrecht: Kluwer Academic Publishers, 1999, pp. 95-118. An earlier version appeared in preprint as Report No. 28/1990, Center for Interdisciplinary Research (ZiF), University of Bielefeld. "Consciousness and Its Expression", Midwest Studies in Philosophy 22 (1998): 294-309. Reprinted in Consciousness and Mind, Oxford: Clarendon Press, 2005, pp. 306-320. "A Theory of Consciousness", in The Nature of Consciousness: Philosophical Debates, ed. Ned Block, Owen Flanagan, and Güven Güzeldere, Cambridge, MA: MIT Press, 1997, pp. 729-753. An earlier version appeared in preprint as Report No. 40/1990, Center for Interdisciplinary Research (ZiF), University of Bielefeld. In Slovak translation, as "Teória Vedomia", in Antológia z Filozofie Mysle (Anthology of the Philosophy of Mind), ed. Silvia Gáliková and Egon Gál, Bratislava: Kalligram, 2003, pp. 263-302. "Perceptual and Cognitive Models of Consciousness", Journal of the American Psychoanalytic Association, 45, 3 (Summer 1997): 740-746. "Apperception, Sensation, and Dissociability", Mind and Language 12, 2 (June 1997): 206-223. "Phenomenal Consciousness and What It's Like" (commentary on Block), The Behavioral and Brain Sciences 20, 1 (March 1997): 64-65. "Multiple Drafts and Facts of the Matter", in Conscious Experience, ed. Thomas Metzinger, Exeter, UK: Imprint Academic, 1995, pp. 275-290. In German translation as "Mehrfache Entwürfe und unumstöliche Tatsachen", in Bewußtsein: Beiträge aus der Gegenwartsphilosophie, ed. Thomas Metzinger, Paderborn: Ferdinand Schöningh, 1995, pp. 423-438. "First-Person Operationalism and Mental Taxonomy", Philosophical Topics 22, 1/2 (Spring and Fall 1994): 319-349. Reprinted in Consciousness and Mind, Oxford: Clarendon Press, 2005, pp. 229-256. "Moore's Paradox and Consciousness", Philosophical Perspectives 9 (1995): 313-333. Reprinted, slightly revised and expanded, in Consciousness and Mind, Oxford: Clarendon Press, 2005, pp. 257-281. "Self-Knowledge and Moore's Paradox", Philosophical Studies 77, 2-3, 1994 Pacific Division APA special issue (March 1995): 195-209. "State Consciousness and Transitive Consciousness", Consciousness and Cognition, 2, 4 (December 1993): 355-363. In Romanian translation by Eduard Barbu, as "Conştiinţă de Stare şi Conştiinţă Tranzitivă", in Filosofia Conştiinţei şi Ştiinţele Cognitive (Philosophy of Consciousness and Cognitive Science), ed. Angela Botez and Bogdan M. Popescu, Bucharest: Cartea Romȃnească, 2002, pp. 175-185. "Consciousness and Higher-Order Thought", Times of London Higher Education Supplement, April 5, 1996, p. iii. "Multiple Drafts and Higher-Order Thoughts", Philosophy and Phenomenological Research, LIII, 4 (December 1993): 911-918. "Thinking that One Thinks", in Consciousness: Psychological and Philosophical Essays, ed. Martin Davies and Glyn W. Humphreys, Oxford: Basil Blackwell, 1993, pp. 197-223. An earlier version appeared in preprint as Report No. 11/1990, Center for Interdisciplinary Research (ZiF), University of Bielefeld. Reprinted in Consciousness and Mind, Oxford: Clarendon Press, 2005, pp. 46-70. Also reprinted in Sprache und Denken, ed. Alex Burri, Berlin and New York: Walter de Gruyter Verlag, 1997, pp. 259-287. "Higher-Order Thoughts and the Appendage Theory of Consciousness", Philosophical Psychology VI, 2 (June 1993): 155-167. "Consciousness, Plans, and Language," Psycoloquy (3)2 (June 3 1992), ISSN 1055-0143. "Consciousness", in A Companion to Metaphysics, ed. Jaegwon Kim and Ernest Sosa, Oxford: Basil Blackwell, 1995, pp. 92-94.
Review of The Disappearance of Introspection, by William Lyons, The Philosophical Review, 101, 2 (April 1992): 425-28. "Time and Consciousness" (commentary on Dennett and Kinsbourne), The Behavioral and Brain Sciences 15, 2 (June 1992): 220-221. "The Independence of Consciousness and Sensory Quality", Philosophical Issues: Consciousness, 1 (1991): 15-36. An earlier version appeared in preprint as Report No. 51/1990, Center for Interdisciplinary Research (ZiF), University of Bielefeld. Reprinted in Consciousness and Mind, Oxford: Clarendon Press, 2005, pp. 135-148. "On Being Accessible to Consciousness" (commentary on Searle) The Behavioral and Brain Sciences 13, 4 (December 1990): 621-622. "Two Concepts of Consciousness", Philosophical Studies 49, 3 (May 1986): 329-359. Reprinted in slightly revised form in Consciousness and Mind, Oxford: Clarendon Press, 2005, pp. 21-45. Also reprinted in The Nature of Mind, ed. 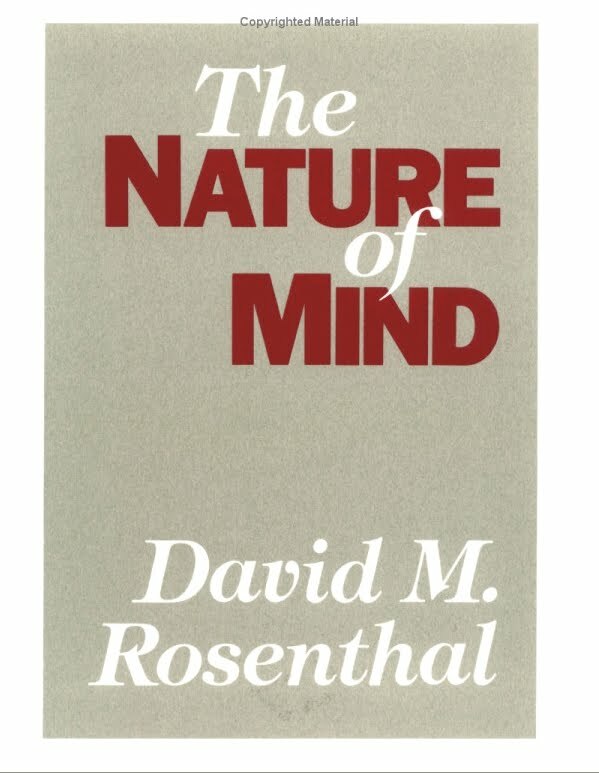 David M. Rosenthal, New York: Oxford University Press, 1991, pp. 462-477, and in Artificial Intelligence and Cognitive Science: Conceptual Issues, ed. Andy Clark and Josefa Toribio, Hamden, CT: Garland Publishing Company, 1997. In French translation by Donald Ipperciel, as "Deux Concepts de Conscience", in Philosophie de L'esprit (Tome II): Problèmes et Perspectives, ed. Denis Fisette and Pierre Poirier, Paris: Librairie Philosophique J. Vrin, 2003, pp. 151-194. "Intentionality", Midwest Studies in Philosophy X (September 1986): 151-184. Reprinted in Consciousness and Mind, Oxford: Clarendon Press, 2005, pp. 71-102, with 1989 Postscript from Rerepresentations: Readings in the Philosophy of Mental Representation, ed. Stuart Silvers, Dordrecht: Kluwer, 1989, pp. 311-344. "Armstrong's Causal Theory of Mind", in Profiles: David Armstrong, ed. Radu J. Bogdan, Dordrecht: D. Reidel Publishing Co., 1984, pp. 79-120. "Reductionism and Knowledge", in How Many Questions?, ed. Leigh S. Cauman, Isaac Levi, Charles Parsons, and Robert Schwartz, Indianapolis: Hackett Publishing Co., 1983, pp. 276-300. "Emotions and the Self", in Emotion: Philosophical Studies, ed. Gerald E. Myers and K. D. Irani, New York: Haven Publications, 1983, pp. 164-191. Reprinted in Descartes's Meditations: Critical Essays, ed. Vere Chappell, Lanham, Maryland and Oxford: Rowman and Littlefield, 1997, pp. 129-158, and in Essays on Early Modern Philosophers, Volume I: René Descartes, Part II, ed. Vere Chappell, Hamden, Conn.: Garland Publishing Company, 1992, pp. 257-286. "Judgment, Mind, and Will in Descartes" (a substantially extended version of "Will and the Theory of Judgment"), Report No. 29/1990, Center for Interdisciplinary Research (ZiF), University of Bielefeld. "Philosophy and its History", in The Institution of Philosophy, ed. Avner Cohen and Marcelo Dascal, Peru, Illinois: Open Court, 1989, pp. 141-176. "Aristotle on Thought", comments on Deborah Modrak, Conference on Aristotle's Philosophy of Mind and Modern Theories of Cognition, University of Rochester, April 1985. "Aristotle's Hylomorphism", comments on Bernard Williams, Princeton Classical Philosophy Colloquium, December 1978. "Keeping Matter in Mind", Midwest Studies in Philosophy, V (1980): 295-322. "Mentality and Neutrality", The Journal of Philosophy, 73, 13 (July 15, 1976): 386-415. "Talking about Thinking", Philosophical Studies, 24, 5 (September 1973): 283-313. "The Modularity and Maturation of Cognitive Capacities" (commentary on Chomsky), The Behavioral and Brain Sciences 3, 1 (March 1980): 32-34.
Review of Frank Jackson, Perception: A Representative Theory, The Journal of Philosophy, 82, 1 (January 1985): 28-41.
Review of Zeno Vendler, Res Cogitans, The Journal of Philosophy, 73, 9 (May 6, 1976): 240-252. "Dualism", in Routledge Encyclopedia of Philosophy, ed. Edward Craig, London and New York: Routledge, 1998, vol. 3, pp. 133-138. "The Identity Theory", in A Companion to the Philosophy of Mind, ed. Samuel Guttenplan, Oxford: Basil Blackwell, 1994, pp. 348-355. "The Behaviorist Concept of Mind", commentary on B. F. Skinner, "Behaviorism at 50," The Behavioral and Brain Sciences, 7, 4 (December 1984): 643-4. "Philosophy of Mind", Social Research, 47 (Winter 1980): 789-802. "Possibility, Existence, and an Ontological Argument", Philosophical Studies, 30, 3 (September 1976): 185-191.
Review of Self-Awareness in Domesticated Animals, ed. D. G. M. Wood-Gush, M. Dawkins, and R. Ewbank, Ethics and Animals, 4, 3 (September 1983): 90-93. Skype interview by Vadim Vasilyev and Dmitry Volkov of the Moscow Center for Consciousness Studies, on “Problems of Consciousness and Qualia,” July 2011. Podcast of talk, entitled "Two Concepts of Mental Quality," Phenomenal Qualities Project Conference at the University of Hertfordshire, September 2011. "Rosenthal-Sellars Correspondence on Intentionality", in Intentionality, Mind, and Language, ed. Ausonio Marras, Urbana: University of Illinois Press, 1972, pp. 461-503 (in pdf). A radio conversation about Dualism on Philosophy Talk (2008). An Online Interview with Ephilosopher, by Uriah Kriegel; full text here (2001). "Consciousness and Its Function," with comments and replies from February-March 2009, a video presentation on Consciousness Online, originally recorded at the 13th Attention and Perception Conference, Chung-Cheng University, Chia-Yi, Taiwan June 26, 2008. Intentionality: A Study of the Views of Chisholm and Sellars (Ph.D. dissertation).